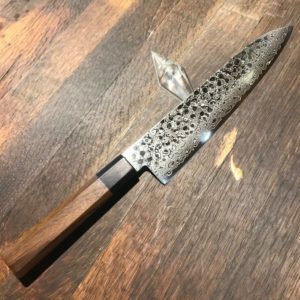 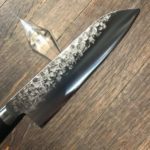 The Warikomi Tsuchime V10 Series maintains the hammered finish of our popular 17-layer WGAD knives, but at a more affordable price point. 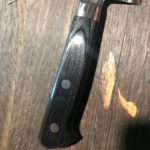 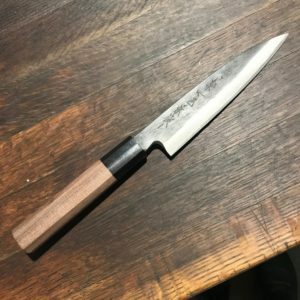 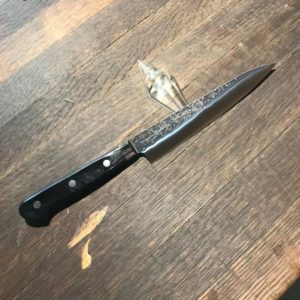 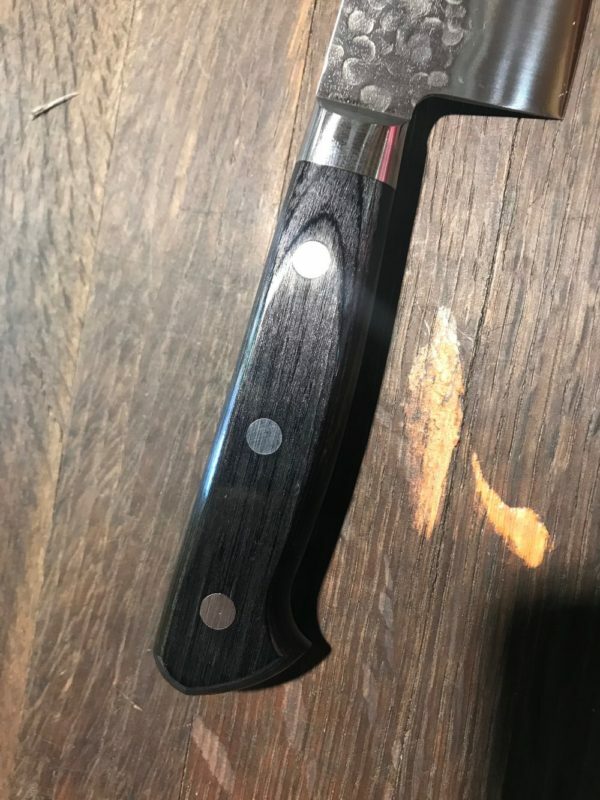 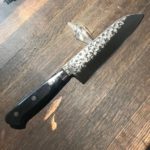 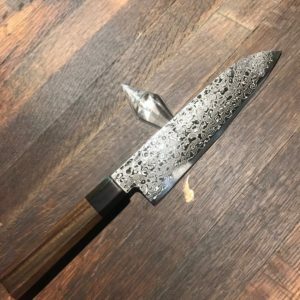 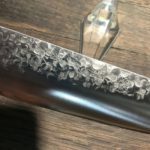 Blade – This core of VG10 steel sandwiched between hammered (tsuchime) stainless outer layers provides a keen cutting edge with the dimples providing an excellent aesthetic as well as the ability to easily release food that might stick to the blade. 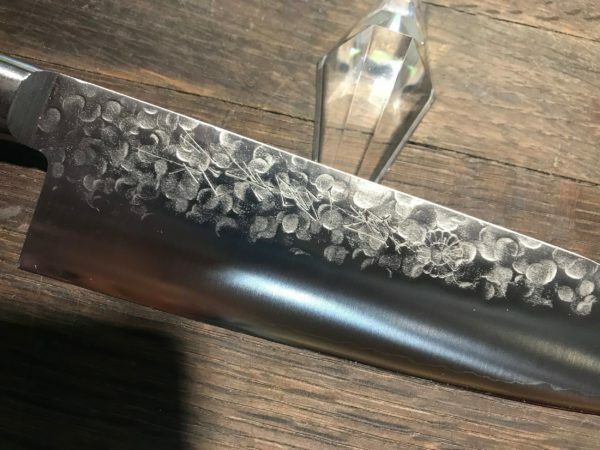 With it’s fine grain structure and great durability VG10 is one of the best modern stainless blade steels available. 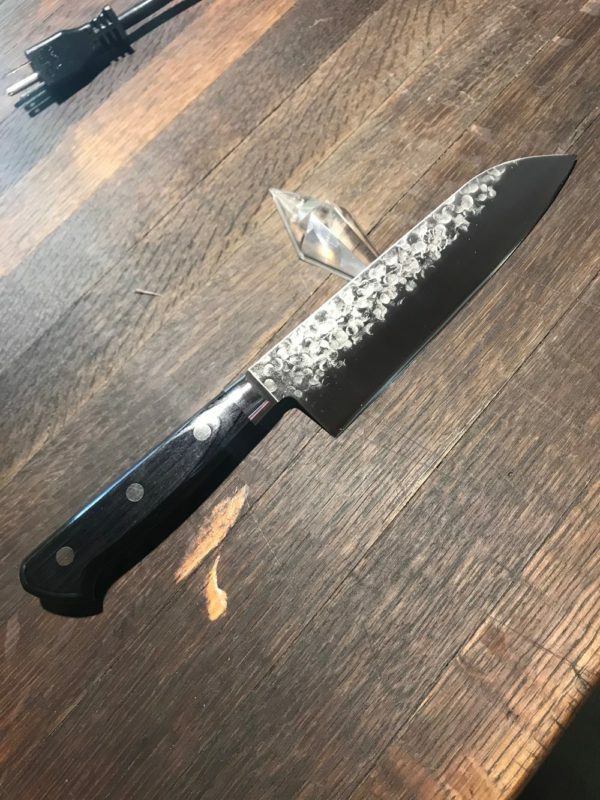 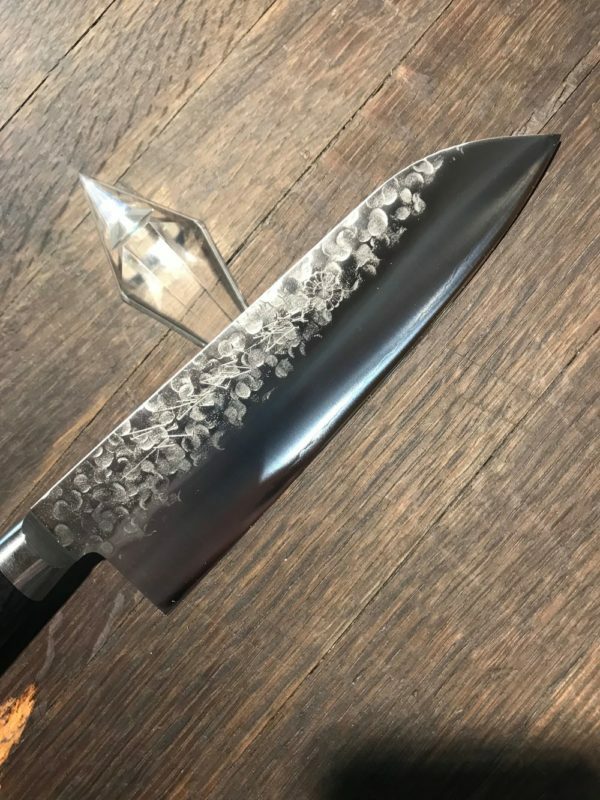 Hand engraved with the Kikuichi chrysanthemum logo.